When the Hero-Honda group split in the year 2010, both resulting companies decided to foray on their individual paths into the Indian 2-Wheeler market space. While Honda initially focused on the 150cc segment, which was rapidly gaining popularity, Hero banked upon its highly popular commuter motorcycles. But soon Honda realized the importance of an entry-level bike for the day to day use of a common Indian commuter, in order to increase its market share in the two-wheeler industry. The Dream series is the result of Honda's decision to venture into the commuter motorcycle segment. This series of scooters has 4 models with each having standard and/or deluxe version. This series of motorcycle has 6 models with each having their own versions with different engine type, manual transmission and offered at different ex-showroom price. This scooter has Standard version with 109 cc engine. This scooter has Drum and Deluxe version with 109 cc engine and automatic transmission. 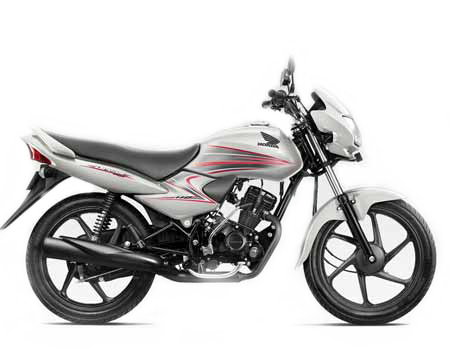 This series of motorcycle has Disc Self version with 125 cc engine and manual transmission. This series has one Standard version with 1312 cc engine and manual transmission. This series has DCT version with 1237 cc engine and manual transmission. This series has two versions Standard and Anti-Lock Braking System (ABS) ex-showroom price. Comprehensive coverage for your own two-wheeler. My Honda bike insurance has already expired. Is vehicle inspection mandatory? Yes it is mandatory- Fix up an appointment for the inspection of your Honda bike. Do note; this can invite a nominal fee. If the insurance company chooses to offer you the coverage, you can make the payment and get the policy in hand. However, if you are lucky enough, inspection may not be mandatory. Yes-an online policy is very much valid. You can also renew your Honda bike insurance policy with a debit/credit biked or even through net banking. Although, for expired policies you will have to contact us for an offline renewal process. You should opt for a long-term or multi-year two-wheeler insurance plan for your Honda bike to enjoy pure convenience and be completely stress-free. You can save on premiums, eliminates the hassles of yearly renewals, skip the paperwork and avoid the gap in coverage since you are insured for an extended period. How is third-party insurance different from comprehensive two-wheeler insurance?